a contemporary classicist. | owl's house london. 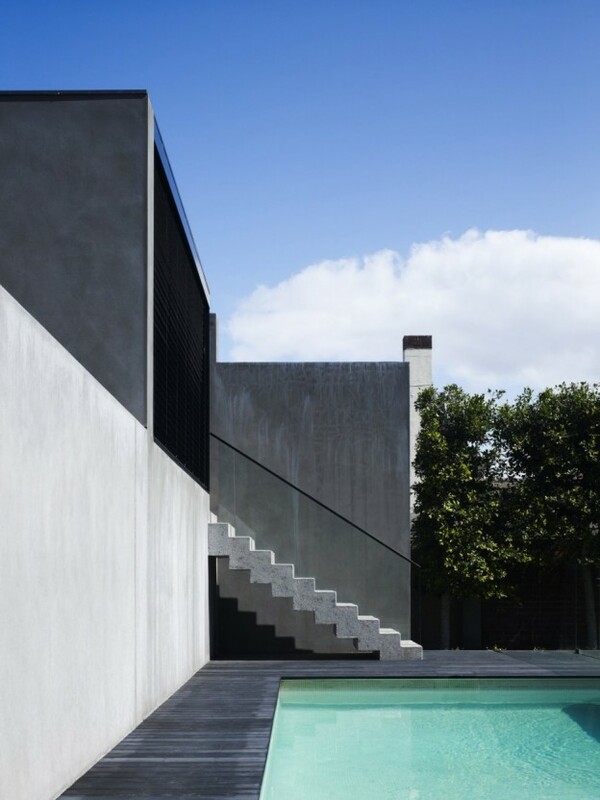 Originally built in1929, this Melbourne home has been meticulously restored and updated to create a cohesive series of beautifully proportioned, contemporary spaces. Marking the transition between original and new, openings are lined with steel to become portals, frames are painted black allowing them to recede. A two storey glazed structure to the rear brings light to the centre of the home, defining a new circulation core to the building. A large, glazed skylight tracks the path of the sun, filling the interior with more light. 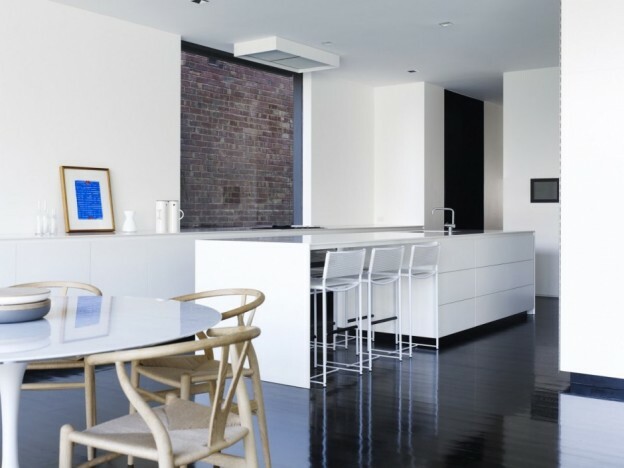 A blackest black, high gloss floor becomes a reflecting pool for the furniture pieces that sit upon it. 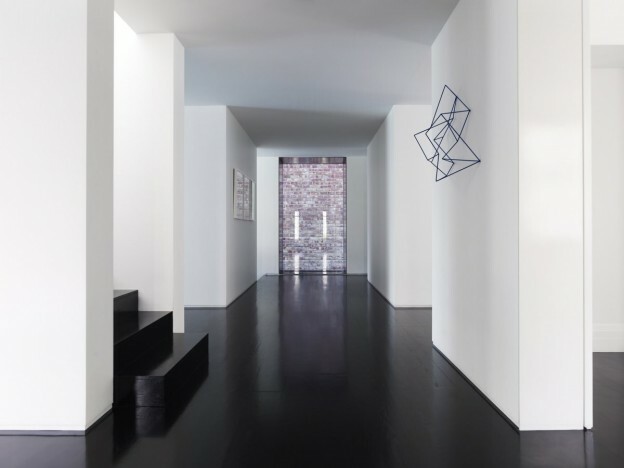 White walls are a counterpoint for the contemporary art to reside. 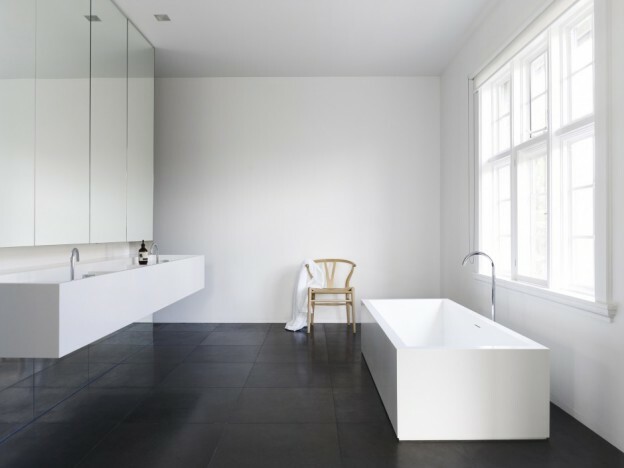 Kitchen and bathroom cupboards are white and elegantly minimal. The joinery is allowed to break through the external wall at the rear as the connection between indoor and outdoor living. Furniture is classic Scandinavian – Wishbone chairs, Tulip table, AJ floor lamp, as well as Italian, with simple and bold pieces by Antonio Citterio. A perfect backdrop for a modern family, who will add the vibrance and colour to this masterfully restrained home. This entry was posted in wonderful spaces. and tagged AJ lamp, architecture, Carr Design Group, Citterio, contemporary, design, Saarinen, Tulip table on April 22, 2013 by owls house london..